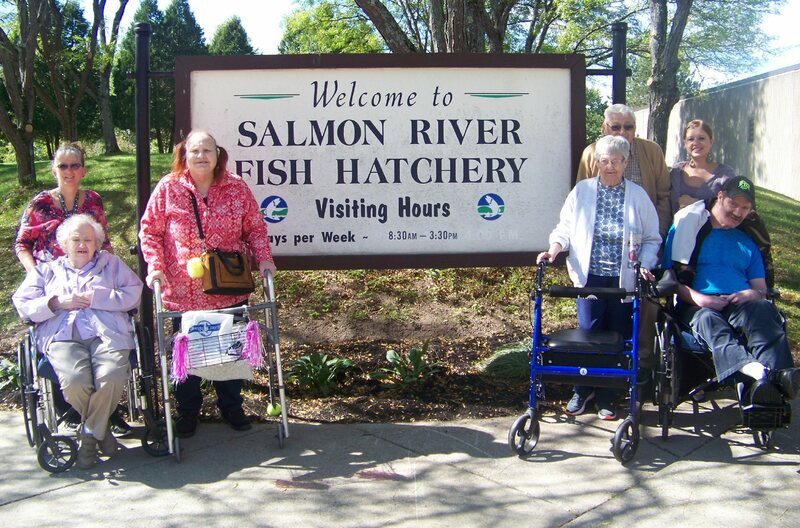 OSWEGO, NY – Residents of Morningstar Residential Care Center recently enjoyed a trip to the Salmon River Fish Hatchery in Altmar. From left are Morningstar activities side Doreen Shortt (standing), June Downs, Ellen Hoyles, Mabel Amyotte, Leo Amyotte, Morningstar activities director Kelsey Rose and Pete Cogan. The hatchery produces more than 2 million fingerlings (young fish 3-5 inches long) and close to 1 million yearlings (fish one year old or over). 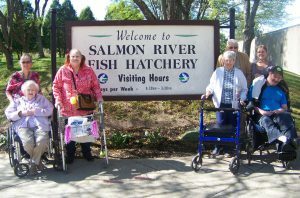 Residents viewed the many displays and exhibits inside the hatchery as well as learning about the spawning process and watching salmon jumping the fish ladder before having a picnic lunch at the pavilion. The outing was one of several off-site activities that Morningstar Residential Care Center, 17 Sunrise Drive, provides for its residents. 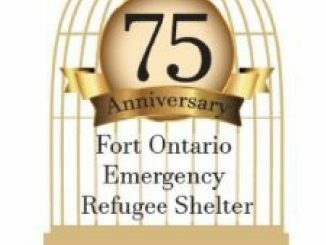 For more information, call 342-4790 or visit www.morningstarcares.com.